Learn how to cook pumpkin seeds! They’re healthy and delicious! 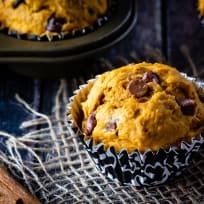 These chocolate chip pumpkin muffins mix up quickly for the perfect fall breakfast or snack! The whole family will love them! 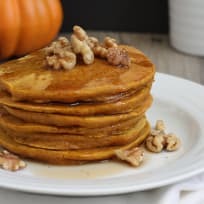 These whole grain pumpkin pancakes are packed with flavor and easy to make. Give your everyday pancakes the perfect twist for the fall season. 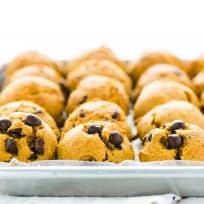 Easy gluten free chocolate chip pumpkin cookies are a favorite fall recipe. They’re full of pumpkin spice flavor and studded with chocolate chips. This homemade pumpkin spice granola is so easy to make - pair it with some yogurt for the perfect healthy breakfast or snack! You’ll love the extra crunch of pumpkin seeds. These whole wheat pumpkin dinner rolls are soft and fluffy and so easy to make. 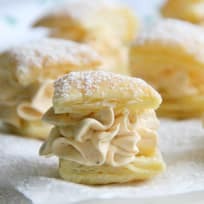 Plus, they are amazing piled with turkey or ham for lunch! Halloween is an excuse to gorge on candy corn and spooky shaped cookies, for sure. But we've got lots more recipes sure to make you say, "Hooray for Halloween!" This pumpkin snack cake with cream cheese frosting is the perfect easy dessert or afternoon snack - an easy to make, sweet treat for the fall! You’ll love it.